Sorry about the eery green color of these photos, but I was using Rick's cell phone because I didn't want to ruin my camera. 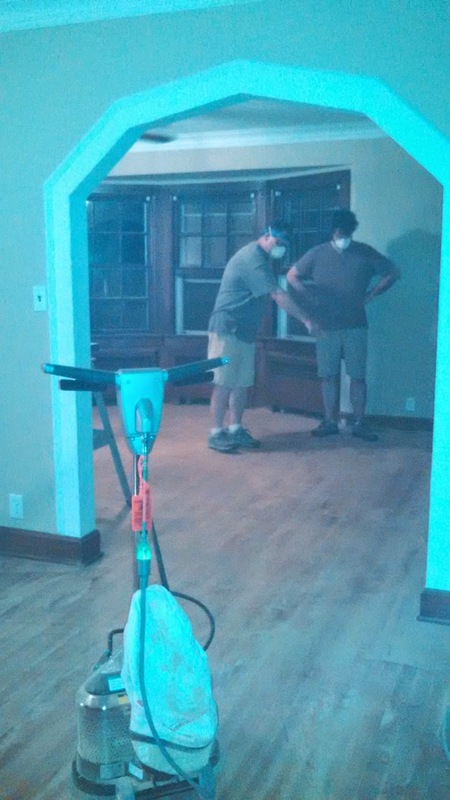 These are the poor images of the guys sanding the floors. They opened all the windows, covered all the air vents, taped over all the plugins and anything else that the dust might get into. All the screens are covered in dust by the way. There is so much dust in the air! 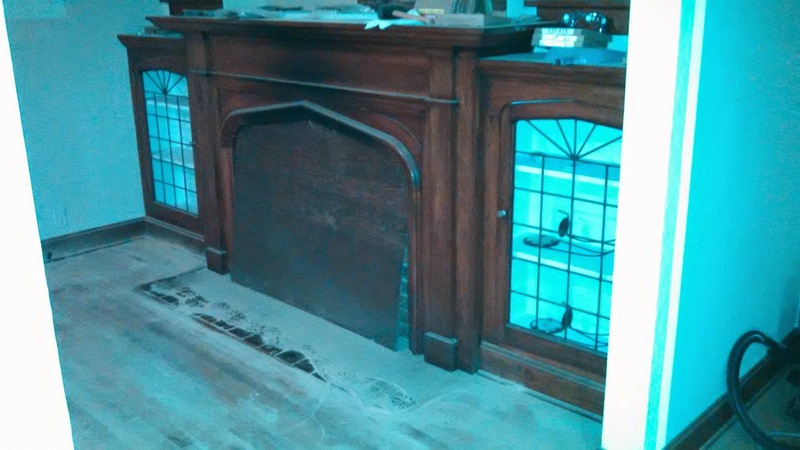 I'm not sure if they are discussing whether that's dust on the hearth or a sandy beach. This is what they were looking at. It took several days to clean all this mess up and they are putting in new furnace filters pretty often as well. Want to do this to your house? Not me! Thank goodness he did this before moving in. I did do this, and we lived in the house at the time, I really don't remember the dust, I must have been in love. It's looking good though. 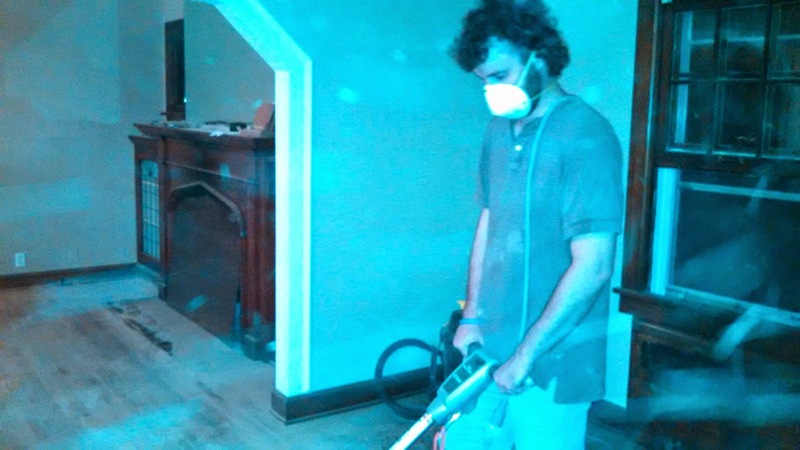 I know about the dust and then you can't walk on it for days after you stain the new wood..The house is really coming along. I love all the wood and that the remodeling is being kept to its original style. I can't wait to see more. Oh My! Good thing he's young!